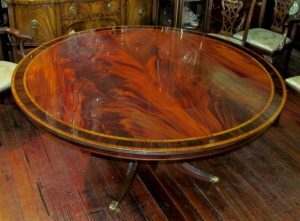 Charleston Bench Made Bookmatched Flame or Crotch Mahogany Circular Dining Table. Antique Copy. Made to order 48″ – 66″ diameter x 30″ high.